Eat Free on Your Birthday in San Diego should be on everyone’s to list. Why not make it an annual must-do activity. With so many establishments offering FREE gifts of food or services, one day is not long enough. The obvious solution is to celebrate your entire Birthday month with multiple celebrations. Guess what, these establishments totally agree and extend their offer up to 6 weeks after your birthday. 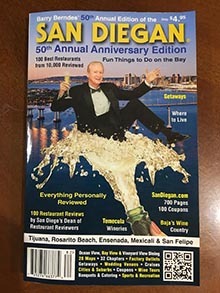 To lend credibility to these recommended places to celebrate your birthday, each recommended restaurants was personally reviewed by Barry Berndes, San Diego’s Dean of Restaurant Reviewers. He went unannounced, paid for his own meals and inspected the kitchen. His recommendations are your assurance that you will have as good or a better dining experience than he enjoyed. And when it comes to birthday celebrations, he’s 100 percent in favor of celebrating birthdays several times a month during his birthday month, which is how this section came into being. With so much passion for Birthday Dining, it should come as no surprise that this website is top ranked. With so many restaurants, attractions, stores, and venues offering you FREE or discounted items, it makes sense to extend your birthday celebration to be a month-long celebration? After all, it’s your birthday to celebrate any way you’d like. Thinking this way enables more establishments to entertain you and your guests. Thus, by giving one meal or dessert away enables them to obtain more business. So everyone will be a lot happier. Being happier or your birthday month is a good thing! Plus, even if you don’t live to be 100, everyone should aspire to have at least 100 birthdays. Thus, with so many attractions, stores, and restaurants wanting you to celebrate your birthday month with them, it’s more than obvious that you should oblige them. All you have to do is click on the hot-linked names of each restaurant recommended, then follow each venue’s specific instructions and then download their coupon. Then bring the printed certificate with you to redeem your birthday promotion. It’s that simple and it’s lots of fun! Plus, these businesses are in many cases the same places you are already shopping or dining at. They include Baskin Robbins, Starbuck’s Coffee, Red Lobster, Claim Jumper Restaurant, and the list goes on an on. Let’s face it, these are awesome birthday offers too good to pass up. Some places will honor their offering for up to a month to redeem their offer. 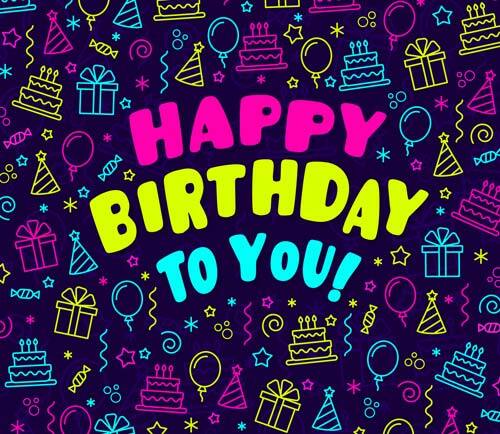 Others offer birthday celebrations on one day a month like BarraBarra and The Boathouse Restaurant. So think about enjoying lots of wonderful venues during your birthday month to celebrate your birthday at the places listed below. A good tip is to plan out your Birthday month well in advance because it always seems that your birthday months goes by much too quickly! Barra Barra Saloon & Restaurant – CINCO-DE-MEEO! On the fifth of every month, we celebrate all the birthdays that month. Come in on the fifth and, if it’s your birthday month, you eat for free! Enjoy up to a $16.95 birthday value, with the purchase of a beverage. Barry Berndes’ Couples Tour is a great way to celebrate your birthday with a buy one admission and get one free tour admission ($100 savings value). 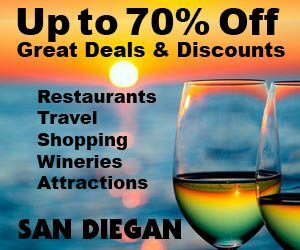 Enjoy a custom half day tour of a suburb of your choice enjoy a Birthday lunch with San Diego’s #1 restaurant reviewer. (You’ll pay for your meals) but it’ll be worth the experience. BJ’s Restaurants– Receive a FREE freshly baked Pizookie dessert for your birthday! Buca di Beppo–Receive a FREE birthday cake! To be eligible for a birthday freebie, check out their website by clicking on their link to retrieve their birthday coupon. Cinnabon–Sign up online and receive a FREE birthday gift. You may get a FREE Minibon Cinnamon Roll or a FREE Mochalatta Chill. Claim Jumper –Receive a free red velvet cupcake on your Birthday when you dine in at one of their restaurants. Barnes and Noble–Barnes & Noble celebrates kids’ birthdays! Get a FREE cupcake or cookie from the B&N Cafe when you sign up for the Kids’ Club online! Hornblower Cruises & Events offers a FREE Harbor Cruise within one week of your birthday must show ID. Yard House–Receive a FREE Mini Dessert for people that are celebrating their birthday. You just have to let your server know that you are dining on your birthday to receive the freebie. AMF Bowling–Sign up for the AMF Bowling eClub and you’ll get up to $20 off your next visit ($5 off per person, up to four people) and FREE bowling for your birthday! Designer Show Wearhouse –Sign up to be a Rewards Member and receive a $5 birthday gift certificate. Parents, use the gift certificate for yourself—you deserve it!